Reading and empathy… the two may not sound related at first but when you dig a little deeper they have a strong connection. Reading, and especially the reading of literary fiction, has been studied and proven to strengthen an individual’s empathy towards others. How does this happen, and what can we learn from it to apply in our own lives? Helping kids understand empathy is an important task no matter what the child’s’ age is. Empathy helps kids understand and identify with the emotions of others and studies have shown that books are a critical part of helping young ones absorb the message and the concept. Becoming absorbed in a book and then in a particular character’s role builds the reader’s sense of empathy, and helps them to understand the situation from their viewpoint. Reading gives us a unique viewpoint, often from right inside the character’s mind. This helps us to see the world through eyes other than our own. Here are some other ways reading builds empathy and some books and resources that will help as well. Social perception is the study of how individuals form their impressions of other people and make inferences about them. Part of this is reading body language. Amazingly, when you are subjected to the reading of literary fiction, your social perception grows, along with the ability to understand others to a deeper extent. Social perception includes being able to read a person’s emotions in context. Reading improves this aspect by giving an explanation of a character’s actions and intent. Often, some of the things that go unsaid in our own lives are laid bare in a book. This can be of great benefit to all people, especially those who have trouble understanding the social cues of others. Another important aspect of social perception is the fact that most good books make a lot of inferences. Rather than always stating the obvious, they give only enough to leave you wondering and force you to decide the obvious for yourself. This gives you practice in being able to translate the tiny details of what you see into the truth of what you understand. Emotional intelligence, known as EQ, is now widely spoken of. It is not enough to be well educated if you lack the ability to communicate and share your knowledge with others. It is said that EQ may be even more important than IQ. As Plato once said, “All learning has an emotional base.” If you wish to communicate effectively, you must understand your own emotions and the emotions of others. Emotional intelligence includes perceiving, reasoning with, understanding and managing emotions. If you leave out any one of these, your EQ will be lacking. Reading helps each of these areas to grow through identifying with characters and cheering for a positive outcome for them. The emotion invested in a good book and the people in it will take you far in your ability to care and connect with other humans. Reading, especially reading good literary fiction, gives you more than just a few moments of relaxation. Reading exercises many parts of your brain and makes you a more complete individual. If you are hoping to grow in your empathy, grab a good book, sit down and read. 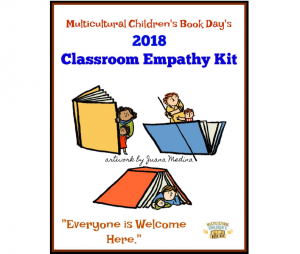 Reading Teaches Empathy- A FREE Classroom Empathy Kit for Teachers!